Ornamental Olive Low FruitEvergreen shrubby tree. Pruned to have a single trunk. 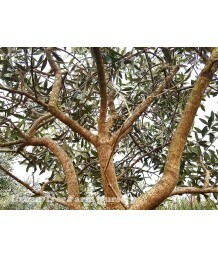 Low fruiting or orn..
Ornamental Olive Low FruitEvergreen shrubby tree. Low fruiting or ornamental olive tree. 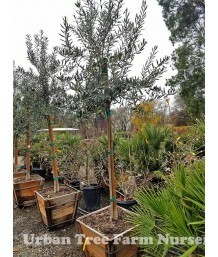 Dark green ..
Ornamental Olive Low FruitEvergreen shrubby tree. Strong, upright habit. Nearly fruitless with class..
Ornamental Olive Low FruitEvergreen shrubby tree. Narrow and long gray-green foliage. 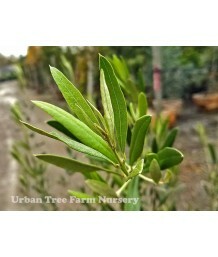 Smooth gray tr..
Ornamental Olive Low FruitEvergreen tree or shrub. Narrow and long gray-green foliage. 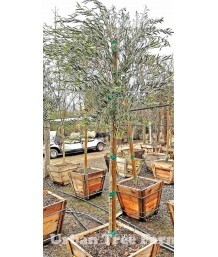 Smooth gray t..
Ornamental Olive Low FruitEvergreen shrubby tree. Pruned into a small, single trunk patio tree. Narr.. 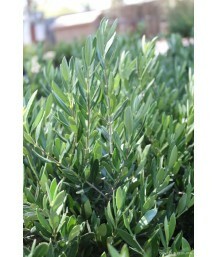 Dwarf Fruitless OliveEvergreen shrub. Slow growing with dense, rounded form. The term PATIO in this .. Dwarf Fruitless OliveEvergreen shrub. Pruned into a small, single trunk patio tree. Slow growing wit..
Low Fruit Ornamental OliveEvergreen shrubby tree. Moderate growth rate. Rounded, airy canopy. 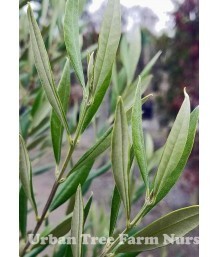 Small,..
Low Fruit Ornamental OliveEvergreen shrubby tree. Pruned to have a single trunk. Moderate growth rat..
Low Fruit Ornamental OliveEvergreen shrubby tree. Moderate growth rate. Rounded canopy with weeping ..
Ornamental Olive Low FruitEvergreen shrubby tree. Near fruitless olive tree. Can be pruned as a mult..
Fruitless OliveEvergreen shrubby tree. Dwarf habit. Low-fruiting ornamental olive. Most years will s..
Fruitless OliveEvergreen tree. 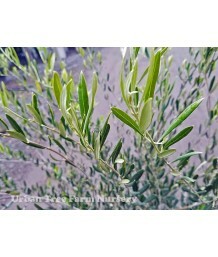 Patented non-fruiting olive free of airborne pollen. Attractive, wisp..
Fruitless OliveEvergreen shrubby tree. Patented non-fruiting olive free of airborne pollen. Attracti..
Fruitless OliveEvergreen shrubby tree. Pruned to have a single trunk. 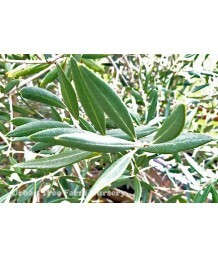 Patented non-fruiting olive fr..
Low Fruit Ornamental OliveEvergreen shrubby tree. Older, larger specimen than traditional container ..